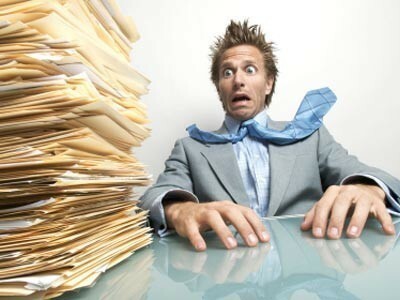 Over recent years there has been increasing talk of paperless offices. However, whilst technology such as fax machines and pagers have been relegated to history, mountains of paperwork still seem to be a feature of many offices. Going paperless offers a range of benefits and with this in mind, we thought we’d explore how we can help you turn life without paperwork into a reality. The most obvious reason to go paperless is the amount of money it could help you save! Paper is expensive, not least in terms of the cost to your business but also in its impact upon the environment. Many businesses are now actively trying to reduce the amount of paper they use, with many aiming towards an entirely paperless office. Whilst paper expensive to buy, there are also additional costs which tend to be overlooked including photocopying, storage and postage. Reducing how and when you use paper will cut these costs, helping you save money which could be invested elsewhere into your business. Cutting down on paperwork can also help you make significant savings in terms of time. Paperwork is time-consuming; whether you’re searching through piles of it, processing documents, filing or finding places to store it! Reducing paperwork administration not only improves staff morale, it also improves efficiency, productivity, customer service and more. Last and by no means least, moving towards digital communication rather than traditional paper can make all the difference to the success of your business. Digital communication is quick (almost instant in many cases) and easy and once digitised, information and documents can be accessed at any time and from any place. https://pro-doc.co.uk/wp-content/uploads/2019/02/Paper-overwhelmed.jpg 300 400 admin /wp-content/uploads/2016/09/pdm.jpg admin2019-04-02 10:33:122019-04-02 10:33:47Could you go paperless? Document scanning: the space saving solution to document storage Is online document storage right for your business?